Earlier this year, I reviewed The Dangerous Bride by Lee Kofman. Not long afterwards, I was offered the chance to review another book featuring her words, and the words of many Australian women. How could I resist such an offer? Here are my thoughts on Rebellious Daughters. In Rebellious Daughters, some of Australia’s most talented female writers share intimate stories of defiance and independence as they find their place in the world. I love a good collection of memoirs, and I love them even more when they’re themed. I had high hopes for Rebellious Daughters, but can’t quite articulate what those high hopes were. I enjoyed the read well enough. I particularly enjoyed Jane Caro’s piece on parenting teens who rebelled in different ways, if only for the glimpse into my parenting future. I also enjoyed Lee Kofman’s tale of a rebellious moment backfiring hilariously, while Jo Case’s recollections of play-acting at teenagehood and fitting in struck a chord with me (even if her specific actions didn’t). If I were to write a mini-memoir for such a collection, I could certainly use Jamila Rizvi’s title, ‘The Good Girl’. 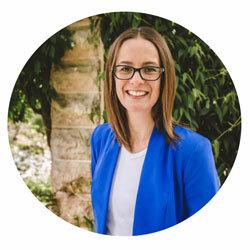 Meanwhile, Rochelle Siemienowicz’s piece earned the coveted ‘Most Dog-Eared Section’ trophy, as she delivered zinger after zinger while describing her efforts to not become her mother. The bite-sized memoirs were each very well done. However, overall, I’m not sure they come together to create a single must-read piece of literature. There’s something almost unfinished about the collection; when I turned the final page, I felt that I wasn’t done. There was no satisfied sigh. But even as I type those words, I wonder how important it is to be finished. Perhaps reflecting upon and sharing our histories in order to spark a broader conversation is more than enough. I usually share a small selection of standout lines from books that I review here on the blog. This time, I have decided to share a standout line from each contribution in Rebellious Daughters. These lines aren’t necessarily the ‘best’ of each contribution, nor even the ones that best capture them. They are simply the lines that spoke most clearly to me. 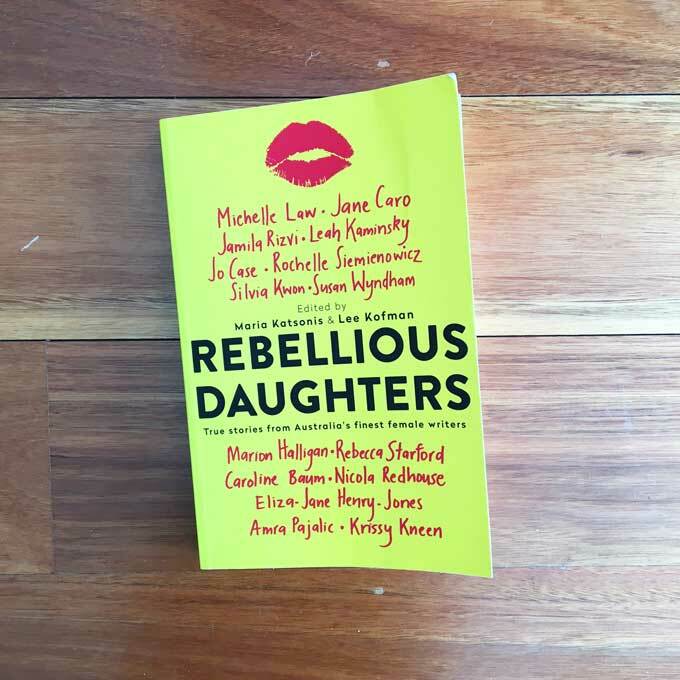 Rebellious Daughters is a thought-provoking read that will have you laughing, feeling and reflecting on your own moments of rebellion (or otherwise). Recommended for anyone who has ever been, known or had a rebellious (or non-rebellious!) daughter. You can purchase Rebellious Daughters from Booktopia here, or from Book Depository here. A percentage of sales of this book goes to Women’s Legal Service Victoria. Have you read Rebellious Daughters? What did you think? * This is not a sponsored post. I received a copy of Rebellious Daughters for the purposes of review. All views are my own. Some of the links in this post are affiliate links. If you click to purchase the item, I earn a little commission, but you don’t pay any extra. Ah, great! Enjoy the read. I haven’t stopped thinking about it! I love the idea of so many bite sized contributions in the one book! Sounds like a thought provoking book that I could enjoy over time when sitting in the car waiting for my kids to finish their athletics training and music lessons. Yes – I love a story collection for all the kids’ activities! What a fabulous collection of writers on a great topic. I can imagine it would be very thought-provoking and it’s certainly not a conversation that has a neat ending. No, it doesn’t. I wasn’t expecting a bow to be wrapped around it, but I was expecting… something… apparently. I love the idea of women sharing their stories. I actually started to write a book like this a few years ago but about women surviving life. It’s interesting how you mentioned there was not a “well I’m finished” kind of ending. That’s interesting! I’d read a book like that. Just your own story, or were you hoping to collaborate? This is on my to-read list, but it’s not up the top. I think maybe it will be good to have around to read one section, and then leave it for a while and then another. We have four daughters, and I was a bit of a rebellious daughter, so no doubt will be able to relate to many stories! That’s a good approach. Read it around other books. I enjoyed most of the pieces in this book Em but thought the same thing – they didn’t necessarily sit together well and seemed a bit ad hoc. I had to read my review to remember the specifics but I noted that some of the pieces seemed to be a bunch or random thoughts while others very much flowed in a story arc of sorts. Good observation. Perhaps a more detailed brief? But then the authors might have felt constrained… gah, I don’t know! I think it sounds interesting. The title definitely grabs me. But I also don’t like when a book doesn’t take me somewhere. It’s probably not that style of book anyway. But my time is limited to read at the moment so I want to always be reading good books in my limited time frame – well at the moment anyway. Well, this is a good book! In fact, the short story thing might play into your limited time frame really well! Sounds interesting. I always struggle with collections – even though I enjoy short stories. I seem to prefer just spending a little more time with the author. I like the way you’ve put that. Lovely. Sounds like an awesome concept for an anthology (and Jane Caro is a big fave here!) Would definitely be something I’d pick up and read – great to see women’s voices being featured here. It’s a fab concept! I wonder if they’ll do another, and which topic they’ll run with next. Definitely worth the read! Enjoy, when you get to it. I usually enjoy books with collections of essays and I like the concept of this one – although I must admit that reading about teenager girls is a scary concept (I am NOT ready to be a mum of a teenager!). I’d love to read Jane Caro’s piece as I’m always keen to hear/read what she has to say. I really enjoyed Jane’s observations. And I didn’t have my own experiences to compare to, so could lose myself in her story more easily than some of the others. It sounds very interesting. I love books like this, I should really make more time to relax and soak up a good book. Sometimes ‘making time’ is easier said than done. What an amazing collection of writers, it’s our book club catch up next week and I’ll be suggesting everyone check out your site for ideas! Oh, thank you! I hope you got some fabulous ideas. I’m glad to read your review. I have to be honest – Zi found most of the stories ‘worthy’ and the topics interesting, but with a couple of exceptions, dull in the way they were written. I felt like the authors were holding back – maybe because they were writing on such personal issues, it was almost self preservation? I’m not sure, but it was frustrating. But with the quotes you’ve collected, I wonder if I wasn’t reading it in quite the right light – I might skim back over them with a different perspective. Thanks! Thanks for your views. ‘Worthy’ is a great description – I think that’s why I couldn’t put my finger on it. Because nothing was bad. The standout lines are particularly fabulous! It was hard to narrow it down for some of them.